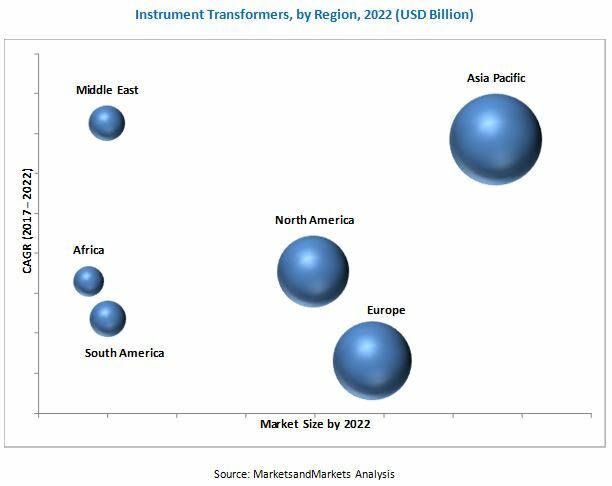 [171 Pages Report] The global instrument transformers market was valued at USD 7.14 Billion in 2016 and is projected to reach USD 9.06 Billion by 2022, at a CAGR of 4.35% during the forecast period. This research study involved the use of extensive secondary sources, directories, journals on power transmission and distribution technologies, and other related rental markets; newsletters and databases such as Hoover’s, Bloomberg, Businessweek, and Factiva, among others, to identify and collect information useful for a technical, market-oriented, and commercial study of the global instrument transformers market. The primary sources include several industry experts from the core and related industries, vendors, preferred suppliers, technology developers, alliances, and organizations related to all the segments of this industry’s value chain. The research methodology has been explained below. Major players operating in the market include ABB (Switzerland), Siemens (Germany), Schneider Electric (France), and GE (US). 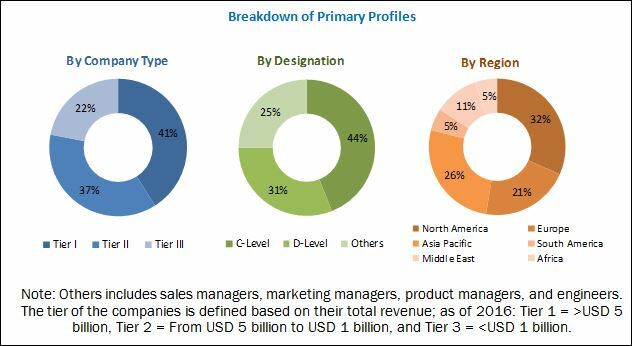 The global instrument transformers market is projected to reach a market size of USD 9.06 Billion by 2022, growing at a CAGR of 4.35%, from an estimated USD 7.32 Billion in 2017. This growth can be attributed to the increasing power demand, increasing emphasis on alternative energy production across the globe, improving and evolving technologies, refurbishment of aging infrastructure, and investments in smart grids and energy systems across the globe. The report segments the instrument transformers market, by end-user, into power transmission utilities, power distribution utilities, power generation, railways and metros, and industries and OEMs. The power distribution utilities segment is expected to grow at the highest CAGR during the forecast period. Power distribution utilities have jurisdiction over medium voltage and some part of the sub-transmission voltage of the grid infrastructure. These utilities take care of the operation, maintenance, and installation of the grid infrastructure along with the realization of the consumed electricity and energy efficiency projects. As per the IEA statistics, USD 24,234 billion investment is expected to be made between 2014 and 2035 on a net addition of 24.2 million kilometers of power distribution lines, with an additional investment of USD 31,700 billion on the refurbishment of the old grid infrastructure at the distribution voltage. The instrument transformers market, by type, is segmented into current transformers, potential transformers, and combined instrument transformers. The current transformers segment is estimated to be the largest market for instrument transformers, by 2022. Current transformers are used to measure the current in the electrical circuit with a magnitude of more than 5 A. These are regarded as transformers which operate under the short circuit condition and carries the full rated current of the electrical network on the primary side. The devices connected to the secondary side of current transformers are series-connected. The secondary side of current transformers has several secondary windings with mechanical cores of identical or different characteristics. A current transformer can have two measuring cores of different accuracy classes on its secondary side or can be designed with an identical accuracy class measuring and protection cores. The design of this equipment is purely based on the type of application required in the electrical circuit. Most current transformers connected to medium voltage electrical networks are three-phase, while single-phase current transformers are used for high voltage applications. The instrument transformers market, by voltage, is segmented into distribution voltage, sub-transmission voltage, high voltage transmission, extra high voltage transmission, and ultra-high voltage transmission. The distribution voltage segment is estimated to be the fastest growing market for instrument transformers, from 2017 to 2022. The distribution voltage is considered between 0.72 kV and 36 kV in this report. The main application of instrument transformers is to offer electrical protection against overload currents, insulation failure, and emergency switching for residential and commercial infrastructures. They also find application in protection of industrial equipment, such as generators, motors and compressors, HVAC and air-conditioning, heating and lighting equipment, step up transformer bushing, overload current protection, and electric arc protection in transmission and distribution sub-stations, along with the measurement of electrical parameters. In this report, the instrument transformers market has been analyzed with respect to six regions, namely, North America, Europe, Asia Pacific, South America, the Middle East, and Africa. The market in Asia Pacific is estimated to be the largest in the instrument transformers market, from 2017 to 2022. Factors such as increased power consumption, government initiatives to increase power generation capacity using renewable energy sources, and replacement of aging power plants are to drive the instrument transformers market in the region. The market in China is expected to be the fastest growing instrument transformers market during the forecast period. In November 2014, China set a target to increase its total energy generation from zero-emission sources (solar and wind) to 20%, by 2030 based on the China-US Joint Announcement on climate change and clean energy cooperation, consequently boosting the demand for the instrument transformers market. Increasing competition from the unorganized sector and delays in grid expansion projects could act as restraints for the instrument transformers market, leading to a decline in profits. The players in the instrument transformers market provide services to developing and underdeveloped nations where the infrastructure is aging. The leading players in the instrument transformers market include ABB (Switzerland), GE (US), Siemens (Germany), Arteche (Spain), and PFIFFNER instrument transformers (Switzerland). Contracts & agreements was the most commonly adopted strategy by the top players. This was followed by new product launches, expansions and investments, and mergers & acquisitions.